It was on this day in 1831 that John Bishop and his partner Thomas Williams were executed for the drownings of multiple victims whose bodies were sold off for medical dissection. This largely antiquated word for criminal unpleasantness thankfully has no religious connection but is rather the namesake of one John Bishop who drowned victims in a well, hanging them by their ankles and then selling their corpses to any of a half dozen medical schools in London in the first half of the nineteenth century. It is estimated that anatomy instructors across the United Kingdom in the 1820s required several hundred cadavers each year (see also Cooper’s ligaments), and the court system simply could not produce enough executed bodies to satisfy the need. 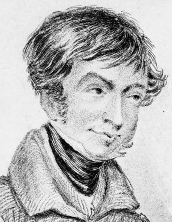 At the same time that William Burke and William Hare were plying the wretched refuse of Edinburgh with whiskey and then suffocating them for some quick cadaver cash (see burke), a trio of copycat reprobates were putting their own twist on the sordid business in London. John Bishop and Thomas Williams—who, along with James May, would come to be known first as “The Resurrection Men” and later as the “London Burkers”—eventually admitted to snatching and selling more than 500 corpses over more than a decade. But it was the murders that would put them at the end of a noose. Perhaps after reading the murderous headlines about Burke and Hare in Edinburgh, The Resurrection Men decided to expand their cadaver business by venturing into fresh offerings, though the technique they hit upon seems somewhat unwieldy by modern sensibilities. In July of 1830, the men rented a small cottage in Nova Scotia Gardens (lying in rubble below what is today the Columbia Market in London) and began luring homeless and hapless lowlifes with the promise of lodging. They then used various combinations of beer, rum, and laudanum to render their victims unconscious before lowering them, headfirst, by their ankles, into a well to drown them. Rather than suffer through the death throes, the blokes allegedly then went to their local pub for a pint or two before returning a while later to make sure nature had taken its course and then undressed and bagged up the bodies for delivery to various hospitals and colleges. The Resurrection Men were finally brought to justice in November of 1831 when they tried unsuccessfully to sell the body of one of their young victims to two different anatomists. Police searched the men’s cottage and well, found enough suspicious clothing to elicit confessions from Bishop and Williams, and apparently made a few extra shillings themselves by charging a morbid public to tour the crime scene and carry away souvenirs. Bishop and Williams were hanged for the murders on December 5, 1831, and the public revulsion over their crimes, particularly on the heels of the executions of Burke and Hare, led to the Anatomy Act of 1832, which provided open access to (among others) unclaimed corpses from prisons and workhouses and brought to an end the age of body snatching. In terms of notoriety, Williams and Hare forever played “Garfunkels” to Burke’s and Bishop’s “Simons.” Even though all four were executed (and, appropriately, eventually dissected), only the latter two names garnered entry into the dictionaries, proving, once again, that there is no free ride on the road to etymological infamy.